There are certain instances in which it becomes necessary for those struggling with SUD to take an extended period of time to focus on their recovery and put other areas of their lives on hold. Long-term inpatient alcohol and drug rehab centers provide the highest level of structure, support, accountability, and medical care to help patients do the work they need to do to overcome their alcohol or drug dependency and reclaim their lives. Ohio offers dozens of long-term inpatient facilities to help patients get back on their feet and incrementally start rebuilding every aspect of their lives that have suffered in the wake of their SUD. 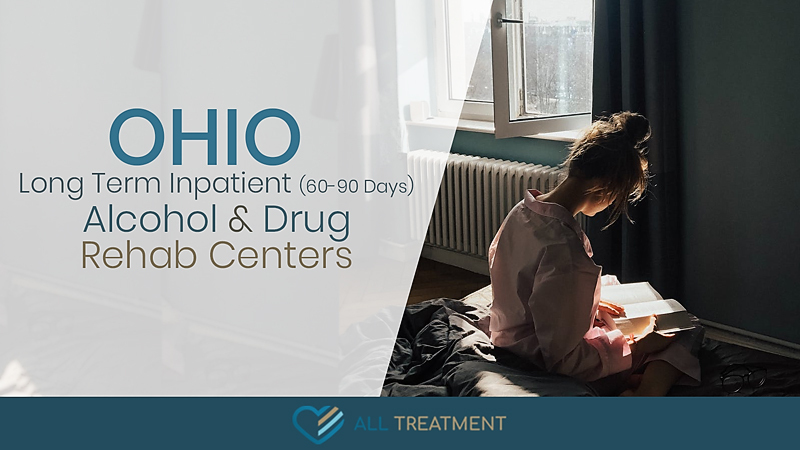 Long-term inpatient treatment programs are typically sixty to ninety days and offer a comprehensive care experience to help patients whose lives have been seriously impacted by drugs or alcohol. Care includes medically supervised detox to help patients address the acute medical issues and withdrawal symptoms associated with their SUD and comprehensive behavioral rehab to help them address the root causes and sustaining factors of their addictions. These programs also include sober living and “step-down” options to help patients gradually learn to live independently in recovery. If you or a loved one needs serious treatment for drug or alcohol addiction, browse our database of long-term inpatient treatment centers today to start the healing process.